Two small boys, a husband and a renovation project: It's imitation all the way! It's imitation all the way! I think I've blogged about my bathroom flooring dilema previously. 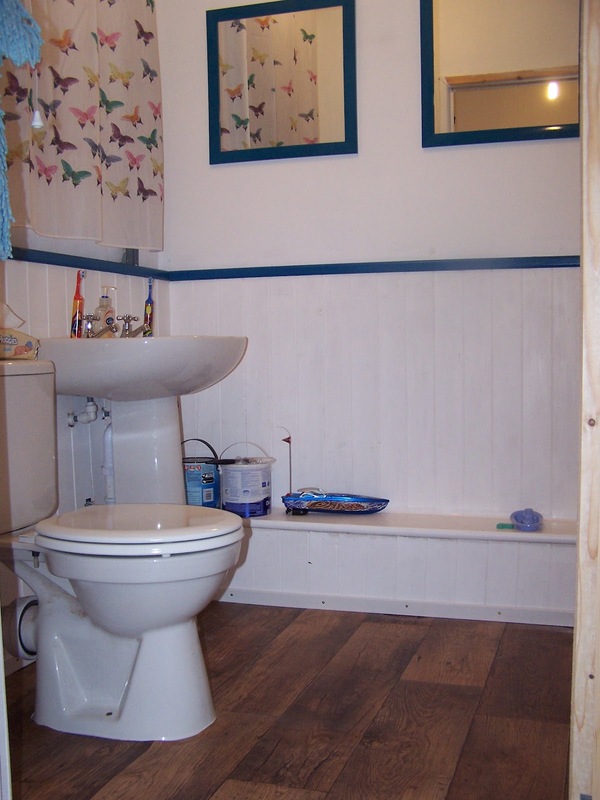 If not, the issue was that I had intended to have the same flooring throughout the living areas of the house but, due to cost-benefit analysis, had decided not to buy aqualoc flooring. 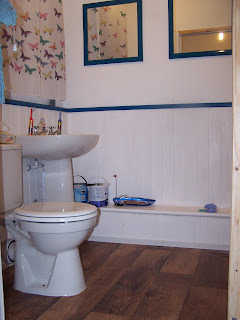 Instead, I opted for normal laminate throughout and left the bathroom for a later date. I then scoured the internet for something a bit different - no imitation tiles, mosaic or wood for me! 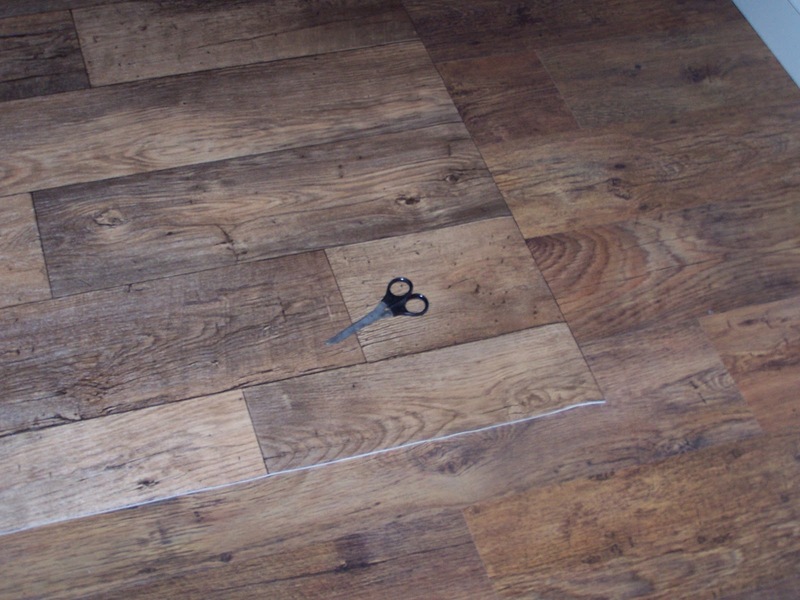 However, yet again, cost-benefit analysis cropped up and my alternative flooring at £40 sq. m. didn't make the shortlist. Instead, I managed to find some good old vinyl in the same, imitation wood, finish as my laminate from the rest of the house - effectively back to Plan A. 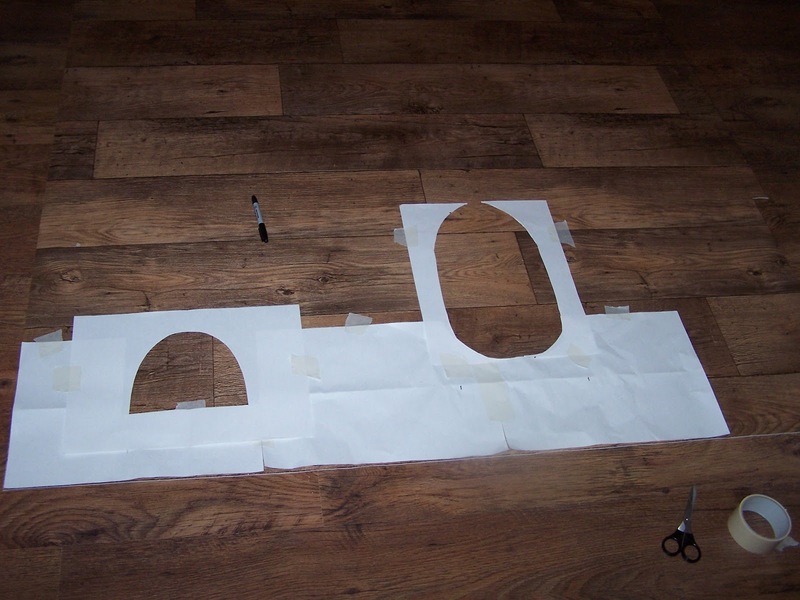 After we had both checked the basic dimensions of the floor area, then came the tricky task of cutting holes for the sink and toilet. Some scratching of heads, and a few 'Blue Peter' moments later, and we came up with paper and masking tape as the solution. Not the most pleasant way to spend a Friday evening, stretched around the toilet bowl, when you have a 4 1/2 yr old (boy) that looks every which way when weeing and a 3 yr old (boy) that has toilet trained in the last 2 weeks!! Then I got the full responsibility of cutting (nice). 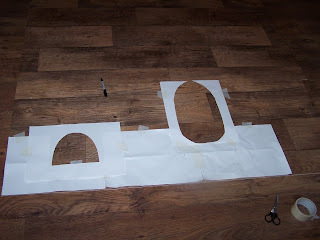 There were a few alterations to make ('cos you always cut too small!) and then voila! It all sounds so simple in retrospect but has actually taken 2 1/2 hours - time for a cuppa!